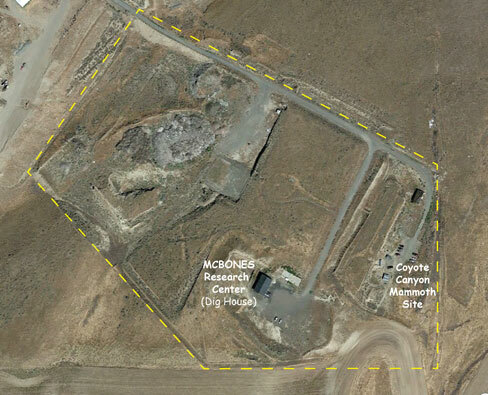 The MCBONES Research Center (also known as the Dig House) is located on 27 acres, south of Kennewick, Washington. The site was formerly used for quarrying top soil and rock, truck and machinery repair, and discarding of construction debris. The Coyote Canyon Mammoth Site is located on the east side of the property, approximately 125 m (400 ft) east of the Dig House.